The space was customizable via XML so Mo Ka's people could add and position 3D models themselves in the scape. Pyramids acted as portals to different content-sections. 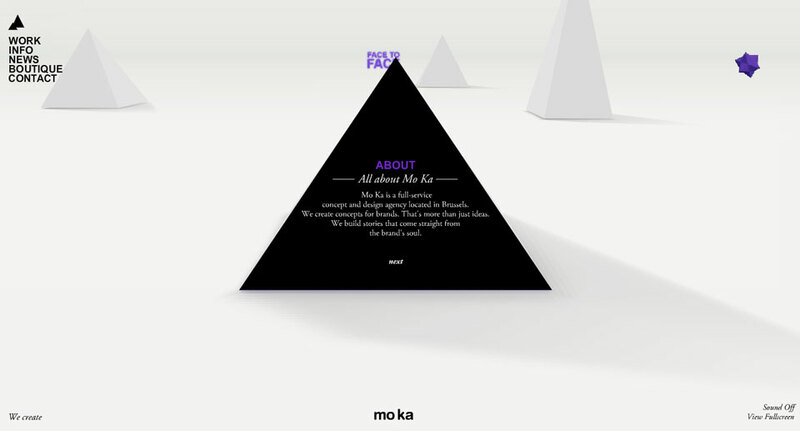 Each content page was displayed on a different 3D model. 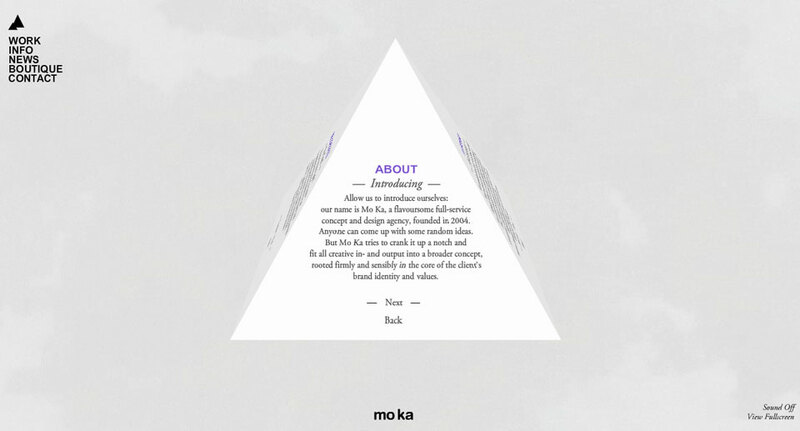 Here's the about page that was displayed on a spinning pyramid. 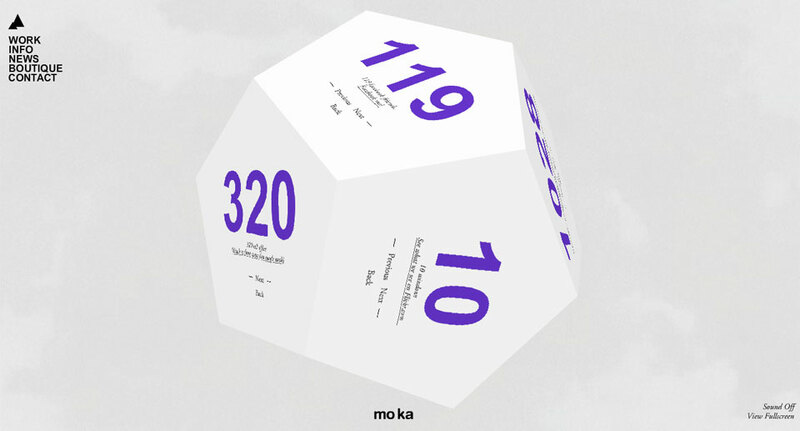 … And some content was even displayed on a dodecahedron. You can tell when you’ve got a special kind of client when they ask you if it’s possible to display their content on a spinning dodecahedron. 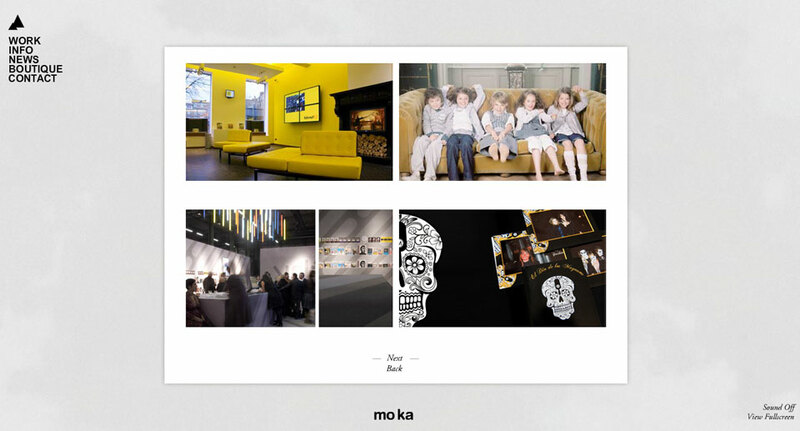 Brussels-based branding agency Mo Ka is one of those clients. I was tasked with taking their outlandish designs and turning them into reality using Flash and Papervision 3D. 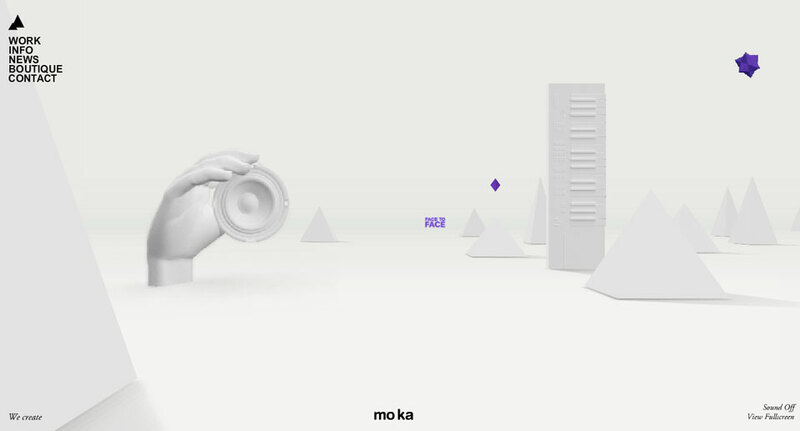 Mo Ka wanted to create a “world” in which they could position a variety of different 3D models – pyramids, floating disco-balls, disembodied hands, etc… I created an XML-based framework with which they could control the size, rotation and position of each and every element in the landscape. Some elements (modeled by freelance CG artist Rizon Parein) were too complex to be rendered in real-time so it was necessary to pre-render them as transparent “turn-tables”. I oversaw the rendering of these elements and composed them inside of After Effects.